I have really been slacking on nail art lately, so I’m going to try and knock out a few looks this weekend. Today I have a Christmas work lunch, so I wanted to do some fun nails. I wasn’t sure which direction I wanted to go in – winter (snowflakes, blues, etc) or christmas (santa, presents, reds, etc). 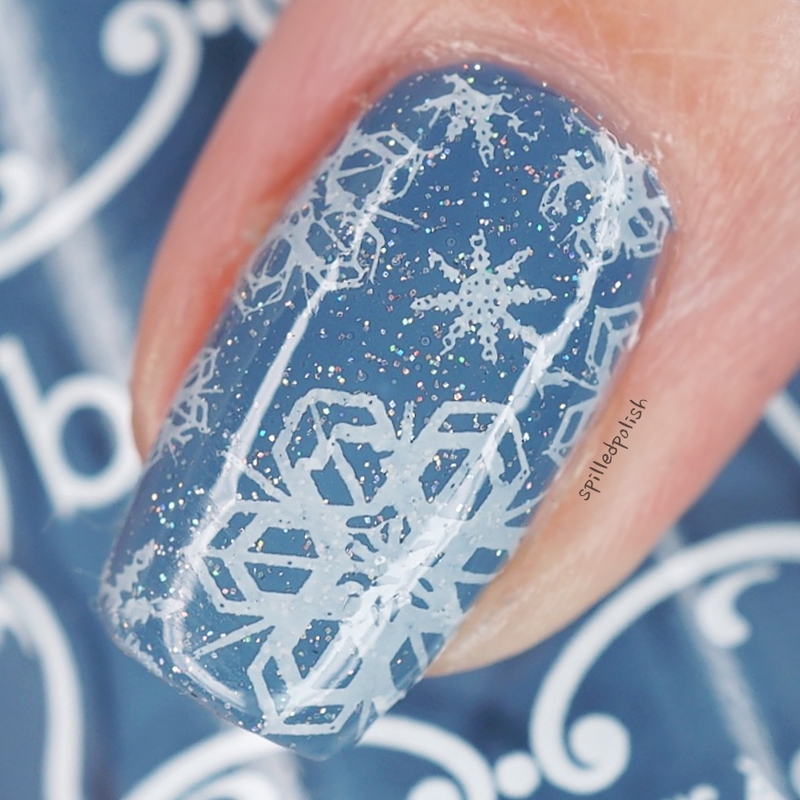 Well, I went with a glitter snowflake theme! I started by painting my nails two coats of Beyond the Nail – Sleet. I used Beyond the Nail – Scattered Holographic Topcoat to add some fun dimension to this mani. 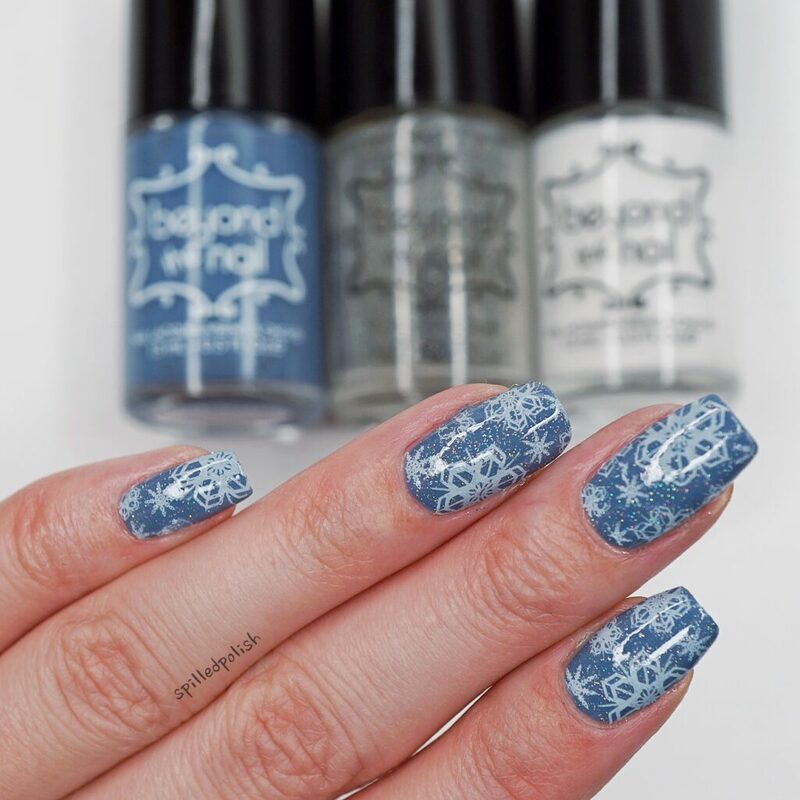 When it was all dry, I stamped over each nail with Beyond the Nail – Bright White and Bundle Monster – Stamping Plate BM-323. This stamping plate is super old, so I’m not sure if they still have it online anymore. I cleaned up any excess polish on my cuticles, then topped each nail off with one coat of Beyond – Base and Top Coat. 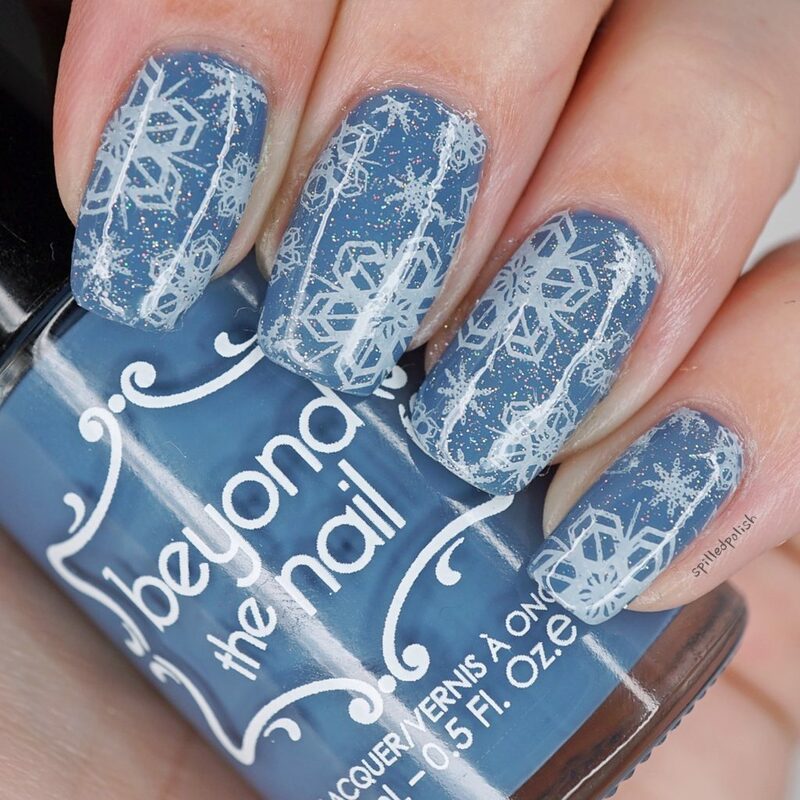 What do you think of these Glitter Snowflake Nails?